Replace your worn 1987-92 Mustang e-brake cables with this new, direct replacement, three piece kit! Mustang parking brakes cables are at a point now where they are brittle and old and can snap at any moment. Ensure your cables are up to the task of keeping your Mustang in place with a new 5.0 Resto 1987-92 Mustang e-brake cable kit! 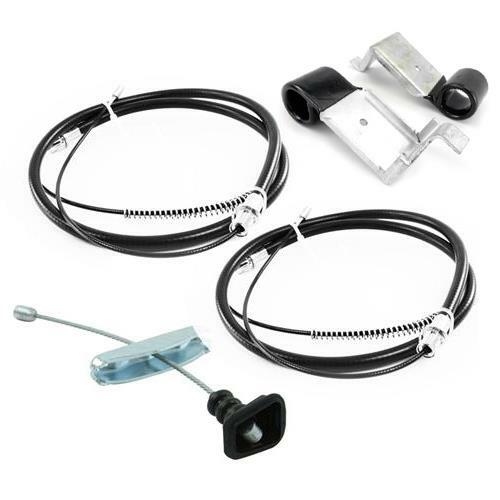 This kit includes the front parking brake cable that attaches to the Mustang e-brake handle and is also the connecting point for the two rear cables. The two rear parking brake cables in this kit are the factory length with factory connections for a direct fit. Two parking brake cable guides are included to keep everything in place. 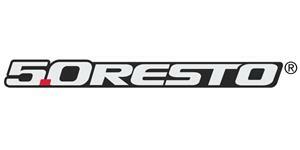 This kit is specific for Mustang's with rear drum brakes.